PMC consists of an underground mining, concentrating, smelting and refining operation. PMC successfully extracts and beneficiates copper and other by-products in the Ba-Phalaborwa area of Limpopo Province and provides the local market with 85% of its copper requirements. The company owes its origin to the unique formation known as the Palabora Igneous Complex. Nowhere else is copper known to occur in carbonatites as is the case at Palabora Copper and a host of other minerals such as phosphates, vermiculite, phlogopite, magnetite, nickel, gold, silver, platinum and palladium also occur. Palabora operates a large block cave copper mine and smelter complex employing approximately 4 990 employees for both lift 1 and 2 and is a balanced and diversified workforce. PMC continues to focus its efforts on mining beyond compliance by involving its employees as shareholders in the company, together with a black economic empowerment consortium, Chinese consortium and Industrial Development Corporation (IDC). Mining activities are inherently very energy-intensive, hence PMC launched an Energy Management Programme in 2012 to curb the forever-growing, half-a-billion-rand energy bill. PMC partnered with a consulting company resulting in the employment of 12 energy specialists and project managers who would, in conjunction with mining personnel, identify, implement and sustain energy cost-saving projects. As a result, 117 initiatives were identified and following stringent technical and financial adjudication processes, 31 projects were implemented. In August 2017, PMC was nominated by Productivity SA as the ultimate winner of the 2017 Limpopo Productivity Awards for its energy saving management programme, thus becoming the finalist contender at the 2017 National Productivity Awards. Transformation of the business in the sense of meeting its targets, the Mining Charter compliance, and the Social and Labour Plan requirements from the Department of Mineral Resources are essential to PMC. Over the years, PMC has invested more than R160 million in developing communities through the Palabora Foundation, PMC’s community project execution partner. PMC is the major mining project occurring in Phalaborwa that is integral to the survival of the Phalaborwa community. It is a key contributor to the local employment; directly and indirectly. The population of Phalaborwa is roughly 120 000 people and PMC mine employs 4 990 permanent employees of which 3 995 are local (more than 80%). Taking into account the integral part played by the mine in relation to the community, PMC has started a number of initiatives aimed at improving the lives of the community. Amongst these projects is Phelang Wellness and Disease Management Centre; one of the biggest clinics in Namakgale township, which is the largest township in Phalaborwa. The project was part of the SLP and totalled just over R7 million to construct. In collaboration with the Ba-Phalaborwa Municipality and other strategic stakeholders, PMC established a road rehabilitation project, which involves the tarring of roads and streets in Namakgale. Namakgale is the biggest township in Phalaborwa and speculated to be amongst the biggest townships in the Limpopo Province. This project was also in support of the Ba-Phalaborwa Municipality’s IDP programmes. Since its inception, PMC has been at the forefront of employment practices in the local mining industry. Palabora, which employs an average of 4 990 employees (lift 1 and 2) aims to remain industry competitive through its favourable conditions of employment. This is reflected in how they deem the safety and health of their employees to be of the utmost importance in order to remain efficient and profitable as a business. The appointment of historically disadvantaged South Africans at professional and managerial levels has increased drastically over the past years. Palabora has attained and retained the Top Employer Certification for three conservative years, from 2016 to 2018. For the company, this contributes to its ability to attract the best talent there is in South Africa and beyond. The company is a certified ISO 14001 business that subscribes to world-leading practices. Located directly adjacent to the world-renowned eco-tourism attraction, the Kruger National Park, PMC coordinates several onsite wildlife management and cultural heritage programmes as part of its ongoing sustainability drive. Over the past years, PMC has retained a record of being one of the safest mines in South Africa and Africa at large. This is particularly due to the stringent SHEQ regulations and procedures in place and the effective management of contractors on site. Palabora has three active employee trade unions, namely the National Union of Mineworkers (NUM), Solidarity and AMCU. These unions represent both the views of their employees and the interests of the company. As a result, PMC continually engages the unions so as to build the capacity of their stewards to help them improve their understanding and appreciation of the business. At Palabora, all HR management practices—from recruitment, career management, leadership development, training and culture to succession planning and diversity management—are geared towards establishing, maintaining and improving sound business practices. This is a key element of managing and sustaining organisational growth. The company has a detailed employment equity policy that addresses the company’s demographic profiles, workplace conditions and practices. Their Employment Equity Forum meets on a monthly basis and informs the company on issues of strategic importance. 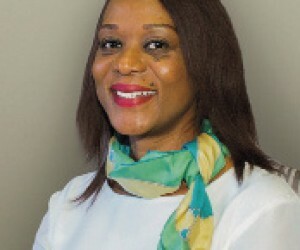 PMC Chief Financial Officer (CFO), Ms Dikeledi Nakene was nominated as the most powerful woman on the continent during “Africa’s Most Influential Women in Business and Government Awards”, which were held in Johannesburg in November 2017. The continental winner was selected from contestants from all 54 African countries who would have won their country’s and regional awards in various categories. 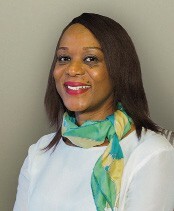 In August 2017, Ms Nakene scooped the country (South Africa) and regional (SADC-South) awards for women working in the mining industry and automatically became a continental contestant. PMC is undertaking a life-of-mine extension project known as the Lift II. The project aims to extend the life of the business up to 2033. The project includes the magnetite reclamation and beneficiation study aimed at creating additional revenue from the 250 million legacy stockpile. PMC’s efforts to extend the life of mine, initiate community development projects and energy saving management programmes are all aimed at making Phalaborwa, Limpopo and South Africa brighter while creating employment. PMC continues to view its surroundings as its sub-sectors to ensure for continuous engagement and consciousnesses.